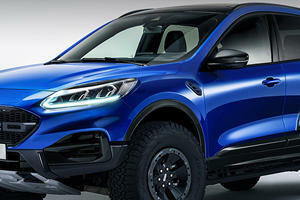 Ford is calling the all-new 2020 Escape its smartest-ever small SUV and with good reason. Completely redesigned with a stylish, sporty new look, the 2020 Escape arrives with a choice of four powerplants including all-new hybrid options for the first time since 2012. Lower, wider and longer than its predecessor, the all-new Escape borrows design elements from the sixth-gen Mustang and Ford GT at the front, and boasts an optimized liftgate spoiler at the rear. 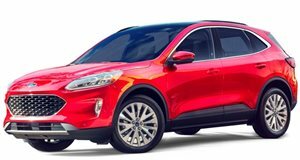 200 pounds has been cut from the new Escape’s curb weight, and whether powered by either the 1.5-liter or 2.0-liter EcoBoost engine or hybrid / plug-in hybrid powertrains, the Escape will manage at least 400 miles on a tank of gas. The standard hybrid targets a range of over 550 miles. Power ranges from 180 horsepower and 177 lb-ft of torque on S, SE and SEL trims to 250 hp and 275 lb-ft of torque on the Titanium-equipped Escape. 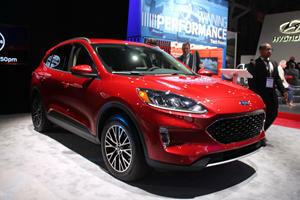 Ford’s fourth-gen hybrid system mates a 2.5-liter hybrid engine to an electronic CVT for a combined output of 198 hp. 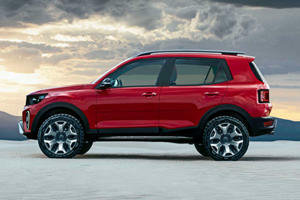 In terms of practicality, the new Escape introduces sliding second-row seats and serves up 37.5 cu. ft. of cargo space, while the small SUV features selectable drive modes, a 12.3-inch digital instrument cluster, head-up display and driver-assist technology. Set to go on sale in the fall, pricing for the 2020 Ford Escape is expected closer to it hitting dealer lots. A new trademark filing could hold the answer. Come on! Show a little backbone, will ya? The revitalized crossover has the looks to match its advanced tech.